Advion ant gel from Syngenta targets most pest species of ants, including all key sweet feeders plus additional ant species. 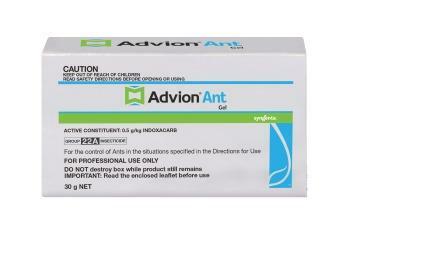 This is a highly attractive ant gel that locks in moisture for extended appeal to ants. The Active Ingredient Indoxacarb is a unique active ingredient that is singular in its class of chemistry, the Oxadiazoles.